I have made yet more updates to the Malifaux Downloads page again. While over on the Wyrd Forums I happened across a bunch of really cool Malifaux Desktop Wallpapers. These aren’t really aides for the game or anything but I decided to put them up on the downloads page because they were buried away in the forums. Malifaux v2 Stat Cards in PDF Form! 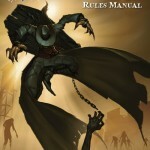 In keeping up with their tradition of great customer support and dedication to keeping their game from being too expensive Wyrd Miniatures has released the v2 stat cards for Malifaux in PDF form. The v2 stat cards have all of the latest errata and rules on them. This is a quick way to print out the latest cards if you’ve got the original versions of the stat cards. This is also great if you simply want to have print outs of your opponent’s cards so you can keep up with what their characters can do without needing to flip through the rulebook. The stat cards are available over on the Malifaux Downloads page right now! You may have already noticed but there are a bunch of new Malifaux downloads up on the Malifaux Downloads page. Cenotaph and Ratty from the Wyrd Forums have created a bunch of new Strategy, Scheme, and Terrain reference card downloads with the Rising Powers stuff. A big thank you to those guys for taking the time to create these awesome reference cards and for allowing me to host them on Tabletop Geeks. There is still a need for an updated reference sheet with the new Book 2 rules if anyone feels up to the challenge! And as always, feel free to contact us if you have any questions or comments. You may have already noticed that we’ve been putting up some new stuff over in the Malifaux Downloads section. With the Book 2 release there are some new reference materials to go with that such as the new Strategy and Scheme cards. We’ve also added some new Scrap, Corpse, and Body Counters. One of my favorite new additions, though, is an index for the original rulebook (thanks to rajcze from the Wyrd forums for that)! These are just a few of the new things that were added, and I expect that we’ll be adding more as people pick up the new book and have the need for more references. 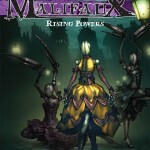 Speaking of which, if you haven’t already then don’t forget to pick up your copy of Malifaux: Rising Powers! Also, check out the new Tabletop Geeks User Sites Directory and more specifically the Malifaux Galleries section or get your own site and have your galleries listed in the directory!